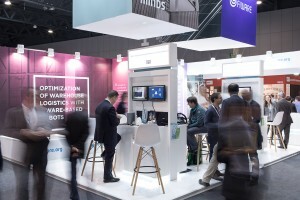 This year’s edition of the IoT Solutions World Congress has shown both the consolidation of the event as the world’s leading meeting-point around the Industrial IoT and the increasing appeal of the Internet of Things among not only specialized technology experts, but also the big companies that would contribute to bring the new advancements and most innovative solutions to the largest consumer markets. After roughly two years, the IoT Solutions World Congress is reaching a wider, active audience. This week, more than 8.000 visitors from over 70 countries have visited the fair. The event gathered 172 international companies and 162 top-level speakers. 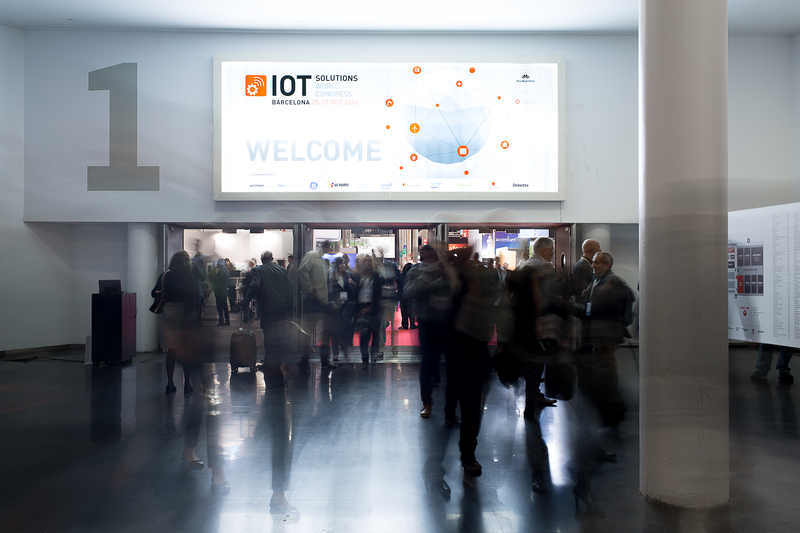 “This year’s figures prove that IoTSWC is the global benchmark event for the industrial IoT sector. 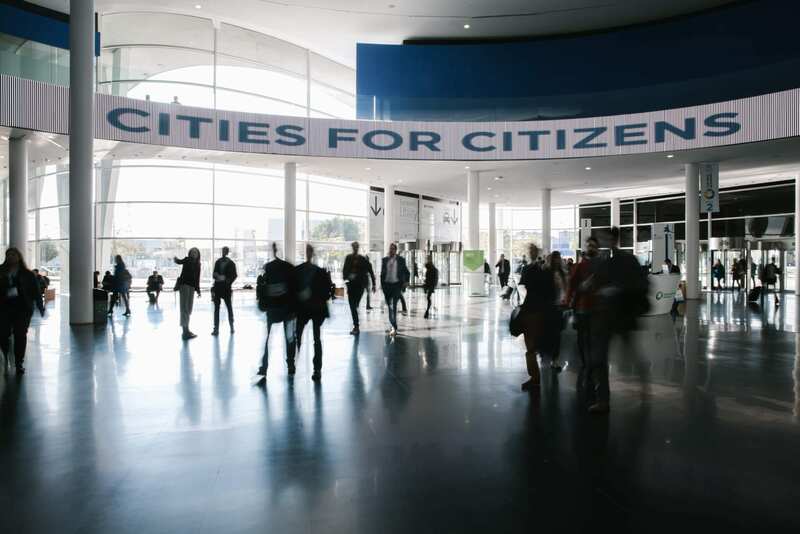 We strongly believe that next will not only experiment significant growth, but that choosing Barcelona and partnering with Fira have been the right choices for the IoT industry”, says Richard Soley, Executive Director of the IIC and president of the IOTSWC Program Committee. Of course, FIWARE was there. 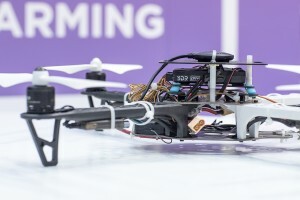 On the Exhibition Area, at our stand, six demos were shown: the warehouse robots of eProsima, the delivery drones of Connect Robotics, CardioID Technologies’ heart control system through a steering wheel, Babbler “smart seal” solution for supply chains, INSYLO monitoring device for the livestock farming and Tera hardware and software for the home energy automation, all caught the eye of the attendants, who were eager to try the solutions themselves. At the Testbed Area, 10 Testbeds were showcased. Two of them powered by FIWARE: Adevice and Fi-Sonic. Fi-Sonic was presenting their 3D sound capturing solution, capable of locate and identify different audio sources and events, providing analytics and immersive audio reproduction that can help the city management. Adevice, was demonstrating their water quality control system and presenting a project that has become one of the main assets for the digital transformation of the city of Seville (Spain), allowing real-time monitoring of ornamental fountains and advancing towards being useful for a global urban management. 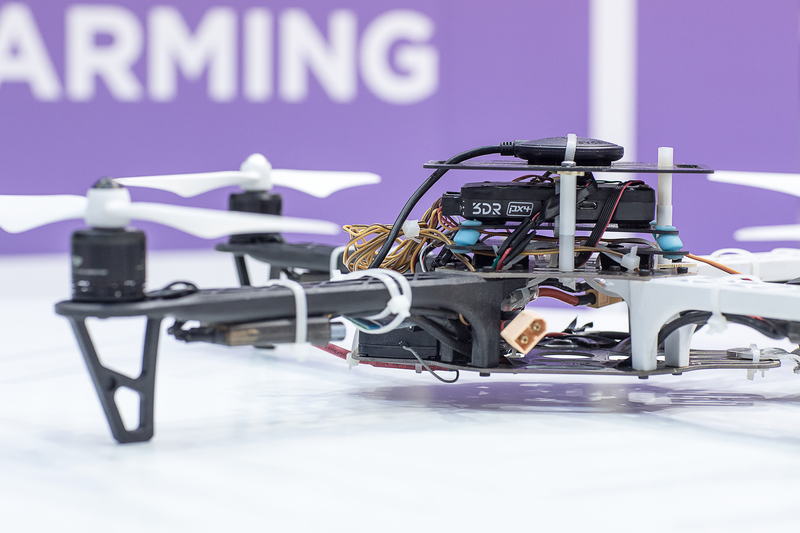 Combining interoperable industrial IoT technologies under a Smart City focus, this was one of most voted solutions by the Congress visitors, the ones deciding the winning project of the ‘Call of Testbeds’: Adevice came in third place. 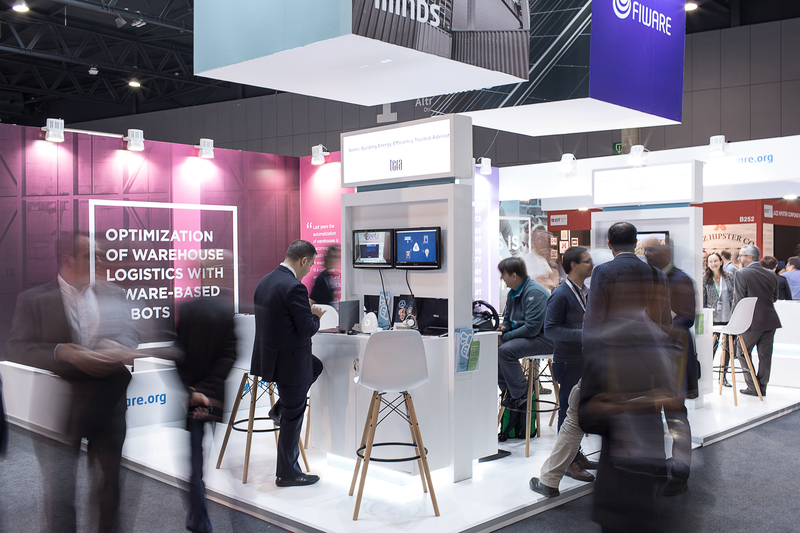 Another project presented and powered by FIWARE was competing at the final round of the IoT Solutions World Congress ‘Call for Awards’, being one of the three best solutions within the category of Business Transformation. ISTMOS, created by ASN, is a monitoring system for measuring and controlling the most critical parameters (temperature, humidity and luminosity) that may affect the quality of bottled wine during storage and until it reaches the final consumer. With this project, ASN has entered the IoT market, concentrating on sensor based monitoring and data analysis. Also, ISTMOS means the transformation of a sometimes old-fashioned market: wine production and distribution are finding new ways of thinking about innovation, building new business models for the Digital age. Projects like ISTMOS are exploiting the unique opportunities opened up by the IoT technologies at its very core, regarding the customers and the platforms and monetizing the value of the data. FIWARE was also present at the Congress Area, with the session ‘Towards an open IoT-enabled Industrial Data Space’, conducted by Ulrich Ahle, CEO of the FIWARE Foundation and the person who has been in charge of the Industry 4.0 activities of Atos, as VP of Manufacturing, Retail & Transportation Consulting and Systems Integration. He explained how “FIWARE is providing several Open Source enablers, specifically dedicated to gather and manage Data and generate business value upon it”. Ahle is also a member of the Board of the Industrial Data Space initiative in Germany. FIWARE stands out as the Open Source platform providing the standards needed for the development of Smart Applications managing context information, enabling a new breed of innovative Smart Digital Services. The IoT Solutions World Congress has been the perfect opportunity to keep raising awareness about the rich value proposition that FIWARE has assembled around the Internet of Things, to meet the needs of developers, companies, users and communities and to push it to keep moving forward. IOTWC16 was really great. See you again next year!